Salutations and worshipful Pranams to the sacred lotus-Feet of the Guru whose form is to be an object of our meditation, whose feet are to be adored, whose words are most holy truths and whose Grace grants us supreme Divine beatitude! Guru is one who shad destroyed his mind and who knows how one has to destroy it. The only thing that stands in the way of our spiritual realization is our own mind and it is to remove this obstacle that one comes to the Guru and surrenders himself unto him. But, then, Guru-Kripa has not only to be bestowed, not only to be given; it has also to be received. In receiving it, we immortalize ourselves, divinise ourselves. We must be ready to receive it; then it will flow into us and raise us to the highest realm of immortality, eternal light and infinite bliss. But, then, how can we receive it? How should we conduct ourselves if we are to receive this Grace? 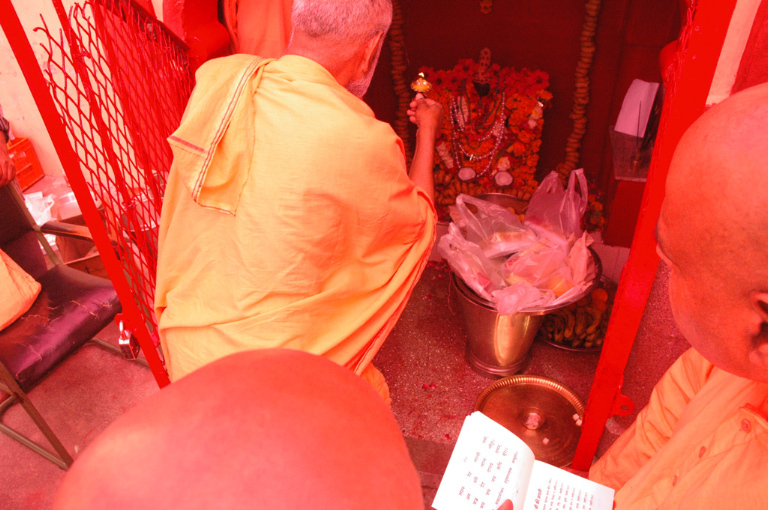 Carry out the teachings of the Guru; and this should be our Sadhana day in day out. 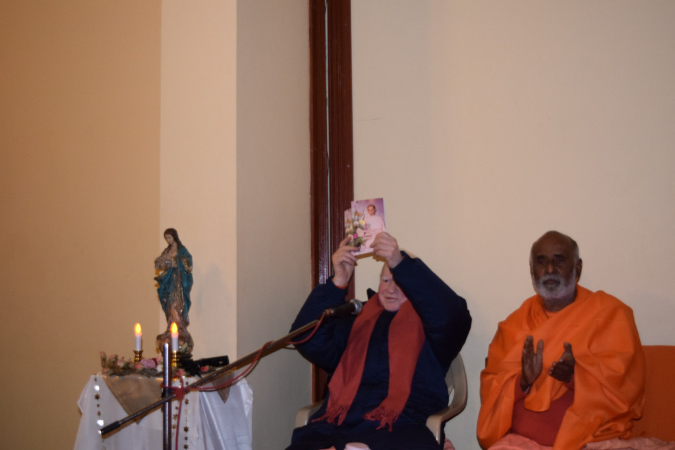 There may be certain inner qualifications which are necessary for the full and effective reception of divine grace; even after having attained all the qualifications of the ideal disciple, we have to wait in humility and in patience. There is no loss here, for the goal is immortal life, freedom. 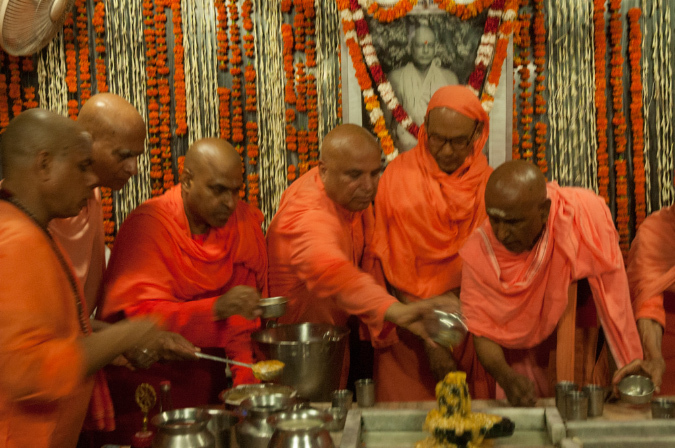 If we have become willing servants and willing, obedient disciples, then it is the natural law that Guru-Kripa may come in an unpleasant form. It may come in the form of a series of disappointments. We may think that Guru has not bestowed his Kripa upon us; but that disappointment itself will be his Kripa. We are not fit to judge whether we are ready to receive Guru-Kripa or not, and what form it would take. The best thing is to humbly leave everything to the Guru. “I do not know whether I am a disciple or not. Therefore, O ocean of mercy and compassion, pray make me a proper disciple. Generate in me that Mumukshutva which makes me a disciple and give me the spirit of willing obedience. “Help me in trying to follow thy instructions. Help me in trying to mould myself upon the pattern set up by thee”; this must be our constant prayer. 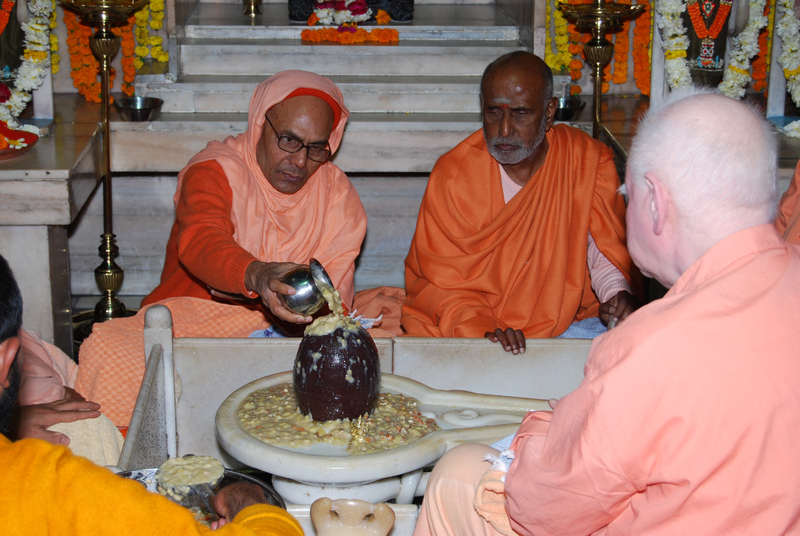 And, by this alone shall we be able to draw the Kripa of our Guru and make our life fruitful. And the perfect way of praying is trying our best to be real disciples. Beloved follower of Sri Gurudev, to send this message into you, is a great privilege and a joy to me. It is a rare blessedness to think of the Satguru, a rarer blessedness to speak about Him, to glorify and praise Him and a supreme good fortune to worship Him. To meditate upon the Guru is the greatest blessing that cam come into the life of a seeking soul. 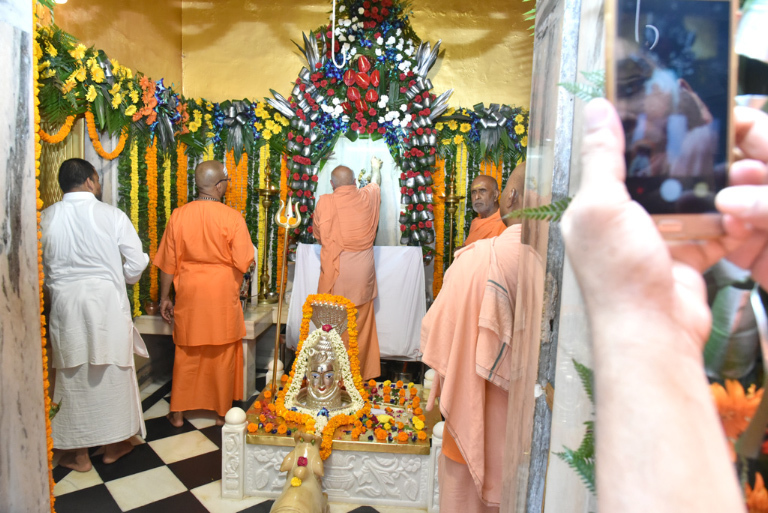 Our sowbhagya was verily great when God granted us all, the living and life-transforming contact and association with a Mahapurusha like Gurudev Sivananda. 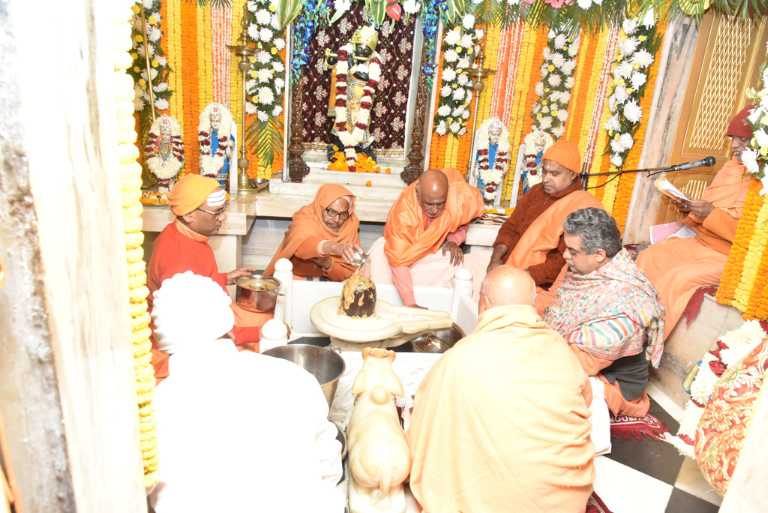 Our supreme and unique Sowbhagya would still be this same living contact if we earnestly endeavour and sincerely strive to keep alive and maintain this link with Sri Gurudev even now by our regular worship of His Living Presence. TO KEEP ALIVE THIS VITAL CONTACT WORSHIP IS THE SPIRITUAL METHOD. Worship is the means of approaching the Invisible. It takes us closer to the Intangible Divine Essence in which form Gurudev now abides after setting aside the physical in which He dwelt, and through which He moved with us all on a physical plane. 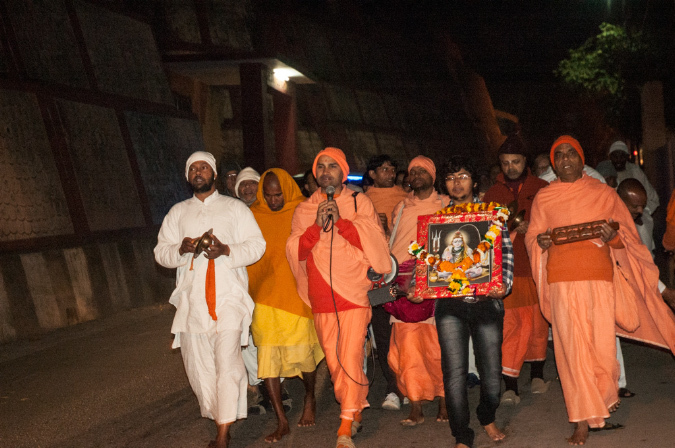 By regular worship, the seeker strengthens his spiritual bond with the Guru even beyond the time of his physical existence. 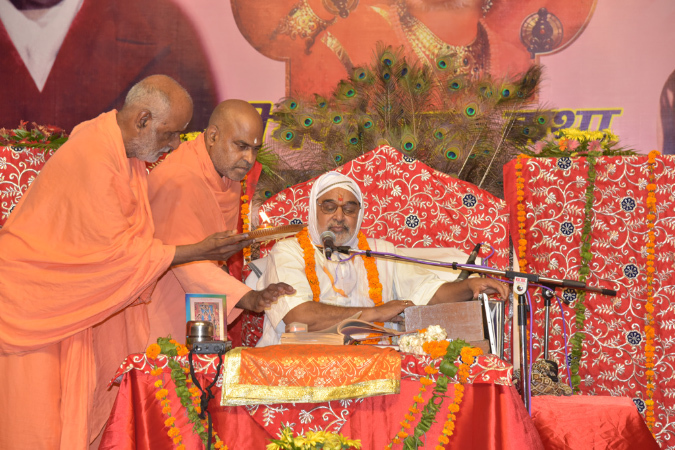 By preserving such a bond, the disciple is able to draw upon himself the continued Guru-Kripa. He is blessed with guidance and protected by His benedictions in a mysterious way. Adore thy Guru and pay homage unto Him who has opened thy eyes to the glorious purpose of life, and who has shown you the true path to blessedness and bliss. This is your foremost duty now. O Seeker after Peace and Joy! Herein lied thy Supreme Welfare. The most holy Guru Purnima is a great annual occasion that privides you an invaluable opportunity of re-establishing this vital inner contact with Gurudev. 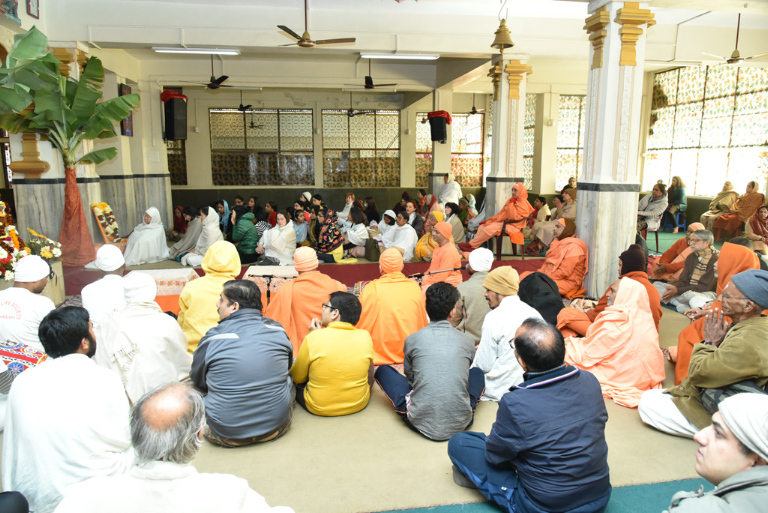 It is a day when all the devotees and disciples earnestly put forth special efforts to experience their oneness with the Nirakara Guru Tattva. It is an occasion, a holy and auspicious occasion for renewing your inner ties with the Guru upon the spiritual plane. To us all, this day assumes an added solemn significance this year, because now—more than ever—we need to invoke, re-create and strengthen the spiritual contact. For, upon last Guru Purnima Day Sri Gurudev still lived in His physical form. But his year, for the first time in all our long years of blessed contact and spiritual association with the Guru, this blessing is no more. The Guru exists; SRI GURUDEV IS WITH US. In the depths of our spiritual being, we must experience the presence of His pure spiritual Self. This we shall do in a special way upon Guru Purnima Day. Renew this contact. 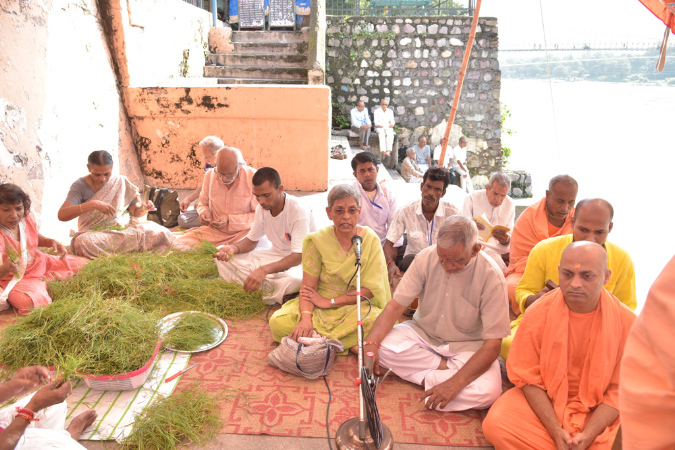 And then plunge into a period of spiritual Sadhana. 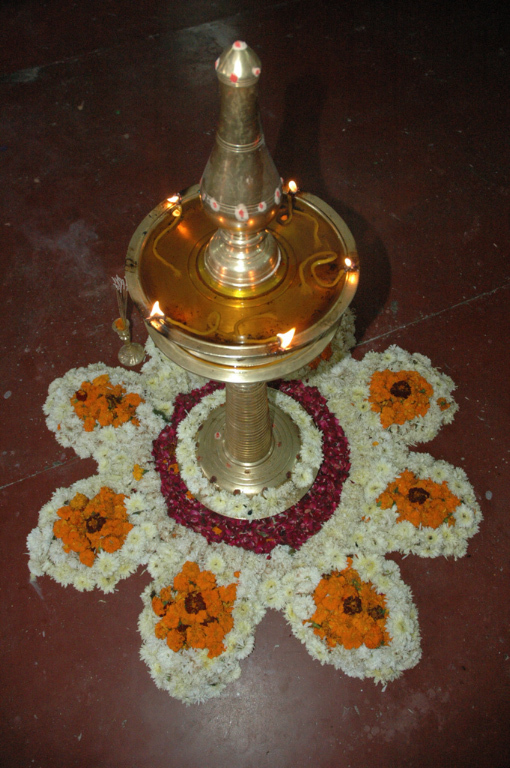 Crown that Anushthana with an inspiring worship of His glorious radiance abiding in His Samadhisthana. 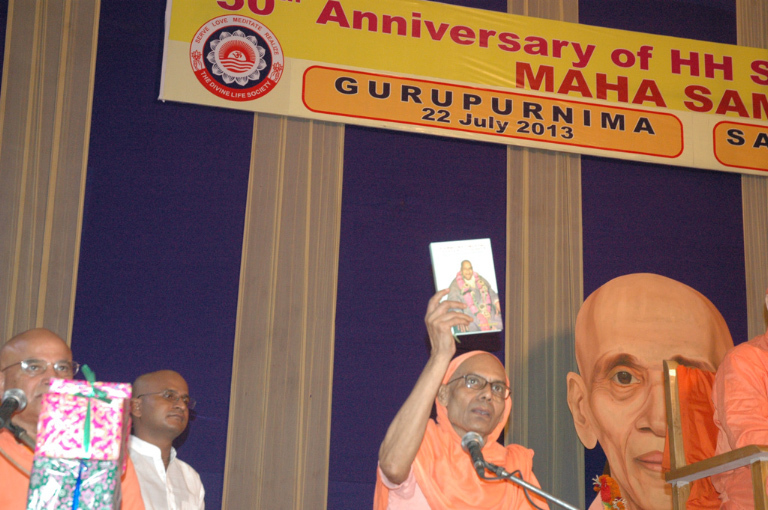 Thus has been conceived the holy spiritual programme for this ensuing Guru Purnima on 24th July. 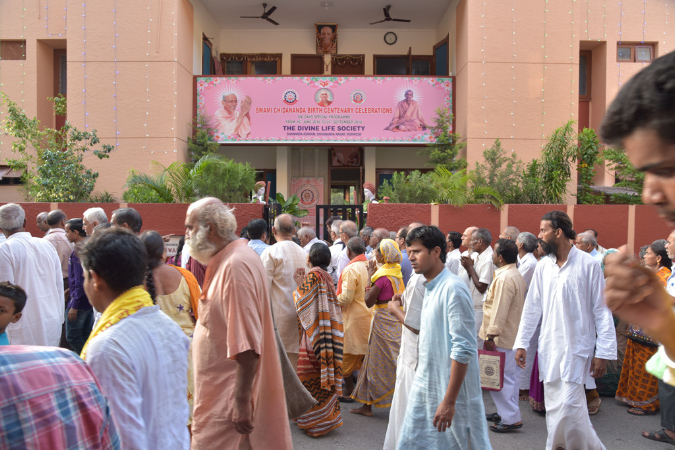 The Sadhana Anushthana following the Purnima worship is to culminate in the sacred Aradhana upon the 1st Anniversary of Gurudev Sivanandaji’s Maha-Samadhi on 2nd August. 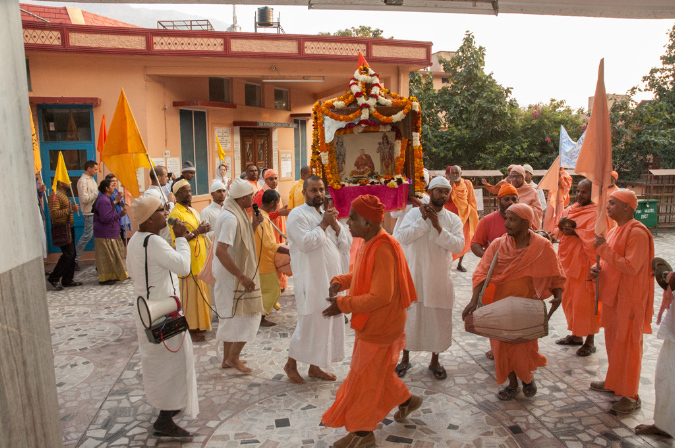 I have no doubt that all those disciples and devotees who come and participate with sincerity, faith, devotion and reverence will experience without fail the blessedness of His living contact and loving Kripa. 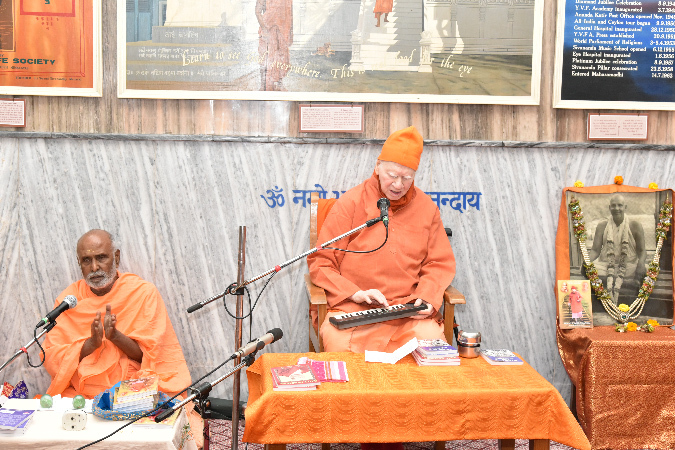 May all those who have had the unique good fortune of receiving Mantra Diksha from Satguru Swami Sivanandaji Maharaj try to participate in this holy programme; or observe these two great days by conducting a similar spiritual programme at their own places. Jai Sivananda! May Gurudev’ grace be upon you all! With regards, Prem and Om!